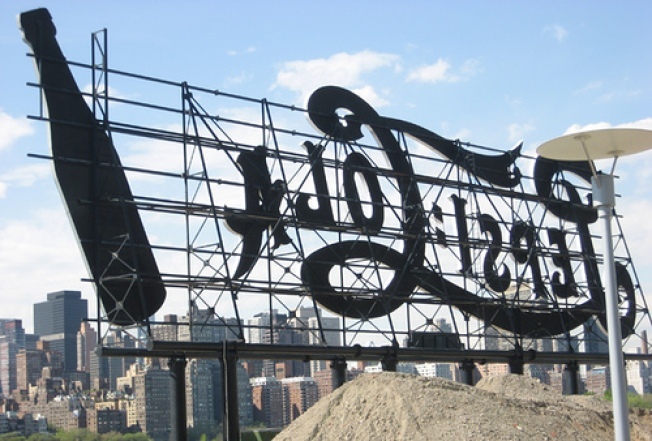 The Gantry Park Pepsi sign in Long Island City is on the move, heading uptown. Don't worry, the Long Island City Pepsi neon isn't gone - it's just being moved a few hundred feet to the north. Look at it go! The Barneys holiday windows are up! This year's theme? Hippies, man. Ah, the irony. Sleepy's salespeople are skeevy, and you can't try anything out yourself with 1-800-MATTRESS - that's why IKEA is going to crush them both with its bold forging into the mattress market. Check out the bedrooms the Swedish giant has set up in Nolita. Brooklyn's cultural institutions want to take all the guesswork and pain out of visiting them: The free HOB shuttle bus will run from the Met and Bryant Park to the Brooklyn Museum and other highlights. Like we won't be using that as an alternative to the subway. And speaking of Swedes, we suppose it was just a matter of time: H&M signed a massive lease on Fulton mall. Because all the new construction along 4th Avenue in Brooklyn isn't quite making our eyes bleed enough, someone went and uglied up a perfectly nice old brownstone: Welcome to Mykonos on the Gowanus. ...& ICYMI, "Obama Victory Renders Hipster Movement Obsolete" - that's the header to a ranty, Jerry Maguire-style screed penned by a streetcarnage.com blogger who quit immediately after posting it. Gawker has the juice.